Early exploration required crawling four miles in and four miles out. (A more convenient entrance is now in place for paying visitors.) And when members of the Indiana Speleological Society first encountered the bones, they assumed they were the remains of cows, pigs and other livestock that had been disposed of in a sinkhole. Scientific examination later revealed them to be the bones of a dozen or so peccaries (related to pigs), a couple of bear skulls and an Ice Age bison, among other animals that entered through an entrance that closed 10,000 or so years ago, Groves says. 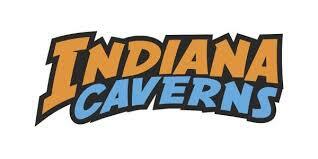 This is the third cave attraction developed by Groves' brother, Gary Roberson. It occupies the uppermost level of a complex cave system and includes steel walkways through a 180-foot room that descends to the underground river. The 1 hour, 20 minute tours are $18 adults; $9 ages 4-12.